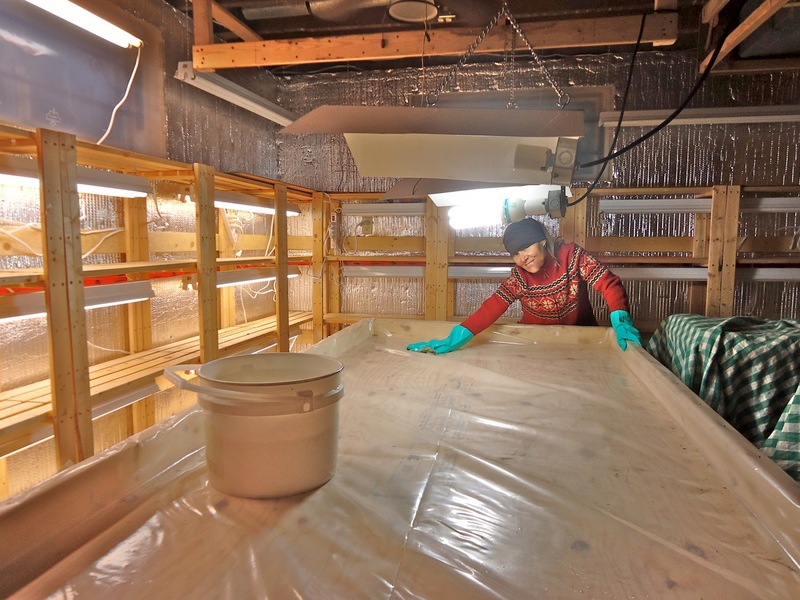 Outdoor work has ended here in Saskatoon, and can now focus on indoor micro greens production. The advantage to this type of crop is that it allows you to ramp up production very quickly. Case in point, I got an order from a local chef who works for a large multi-national hotel chain. He has a standing order for bi-weekly deliveries of six .15 lb. 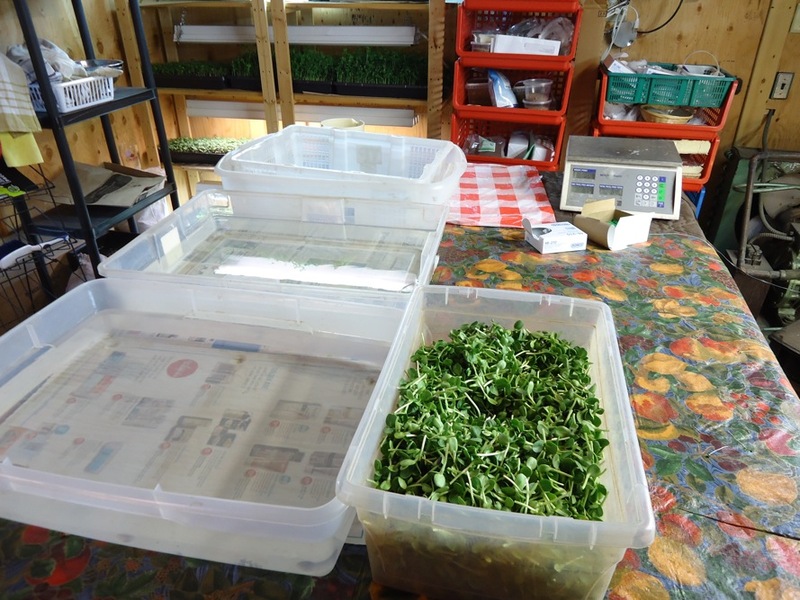 bags of micros and one cut tray of pea greens. Micros are $7.50 per bag, and peas are $17.50 per cut tray. This week he told me he wants 26 bags of micros and four trays of peas for Nov. 8. That’s about a $250 order. Ramping up is easy. That means about 9 trays of micros, which are not a big deal to produce. So I’ll be planting soon for this order. 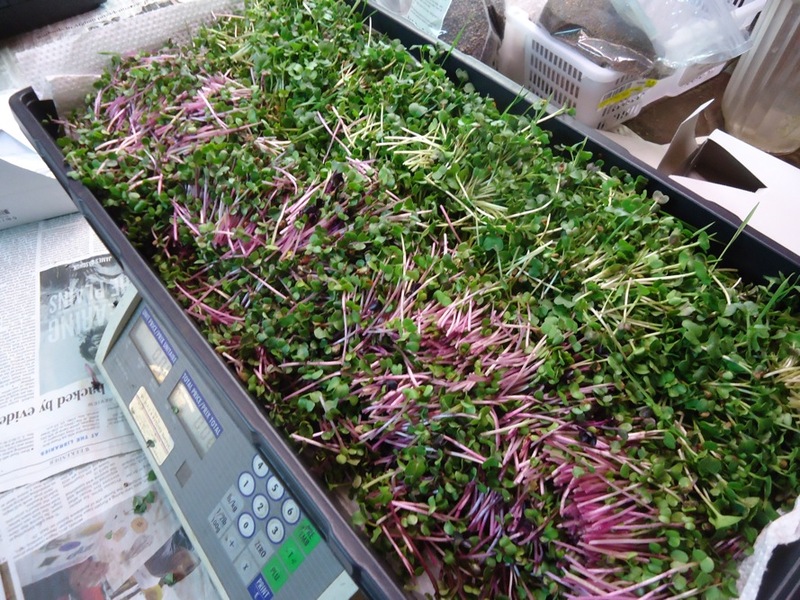 Learn how to set up and make money with an indoor micro greens operation in the Indoor Farming with Micro Greens guide in the SPIN-Farming learning series. roof. I think I will be expanding my outdoor quick greens production. 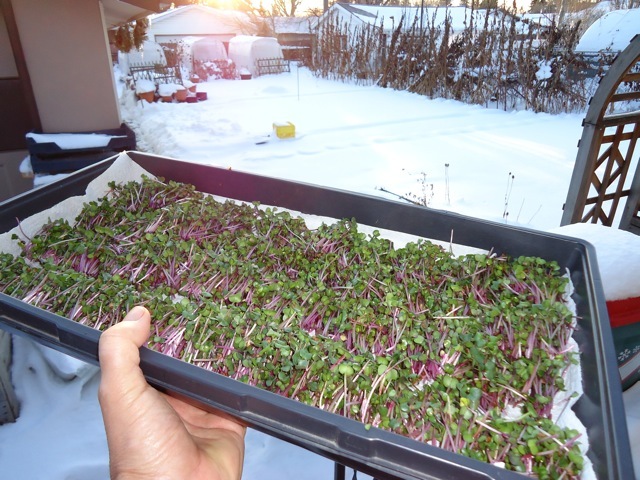 Learn how to grow and sell a new class of micro greens called Quick Greens in Dig Deeper guide # 3 in the SPIN-Farming learning series. I’ve been developing a new product line called Quick Greens. Greens figure prominently in SPIN-Farming because of their quick days to harvest. So they are great for relay cropping because different crops can be planted either before or after them. 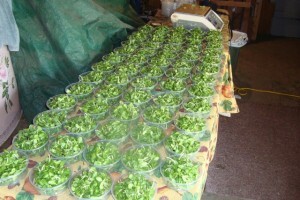 Thirty to 50 days from planting to harvest are common time frames for greens such as lettuce and spinach. But Quick Greens have even shorter days to harvest – 10 – 14 days. Quick Greens include sunflower greens, grown in soil. They can also be planted in containers on parts of your land base that would not usually see production, like decks patio or driveways. No specialty structures or systems are needed. Dry seeds are broadcast into the plots. Days to harvest is under 14 days. This two row bed here is worth around $100. I will be targeting steady weekly production of two to three beds. Harvested greens need to be washed, and a bit of time needs to be spent picking out any hulls, though most of the hulls will pop off before harvest if you brush the plants by hand or apply a gentle spray wash. These are proving to be a great niche product for me, and a real draw at market. I recently bagged off $80 worth into .10 lb. bags. and sold them for $3.00 each, or 2/$5.00. I bagged another six .15 bags and sold them to restaurants for $7.50 per bag. If you want to grow and sell Quick Greens, here’s the guide that tells you how. Ottawa ON to get him focused on what is mission critical. What is the current size of land base you plan on putting into production. Is the land ready to plant? Do you have/have access to a rototiller? 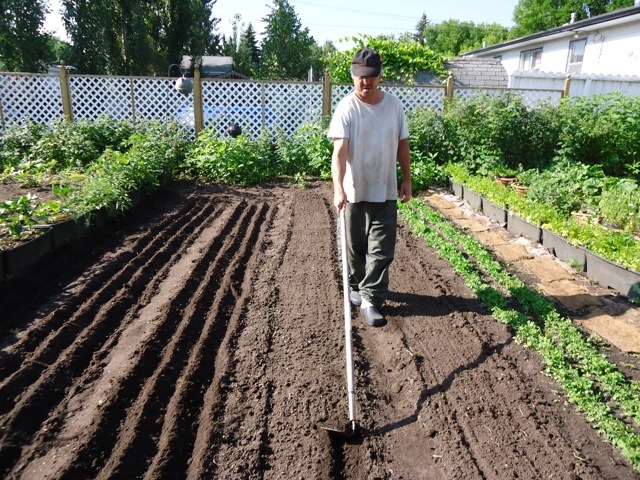 Do you have garden tools and a seeder? Do you live in the city, or on the outskirts? Do you have post harvest cooling capacity? Can you get potato seed/onion sets/garlic quickly? Where will you be selling? A farmers market? 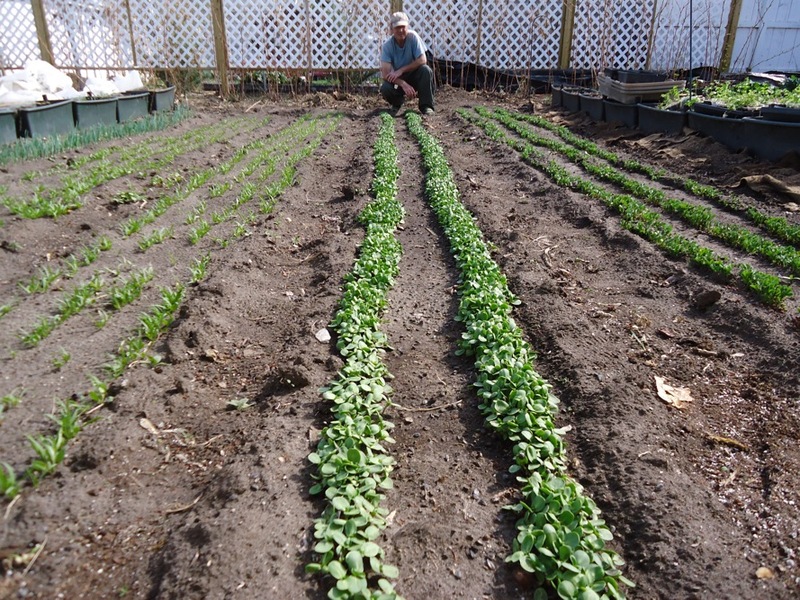 Have you considered restaurant sales for crops such as pea greens/sunflower greens? 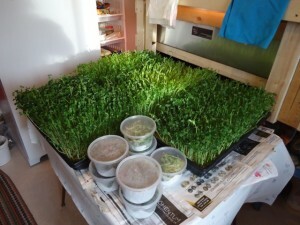 Have you considered indoor tray production of pea/micro greens? Note: if you want to get into the game really quickly this season, Quick Greens (Dig Deeper guide 3) and indoor production (Dig Deeper guide 5) explains this type of “fast track” production.